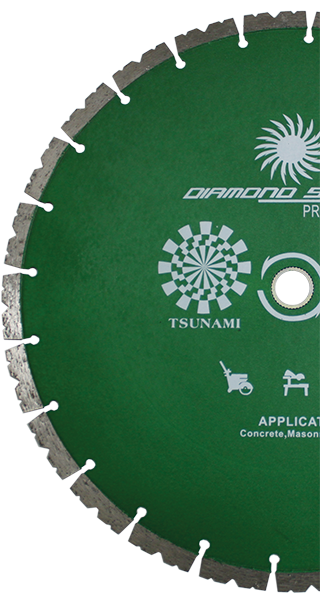 The Tsunami Series - Diamond Speed Products, Inc. 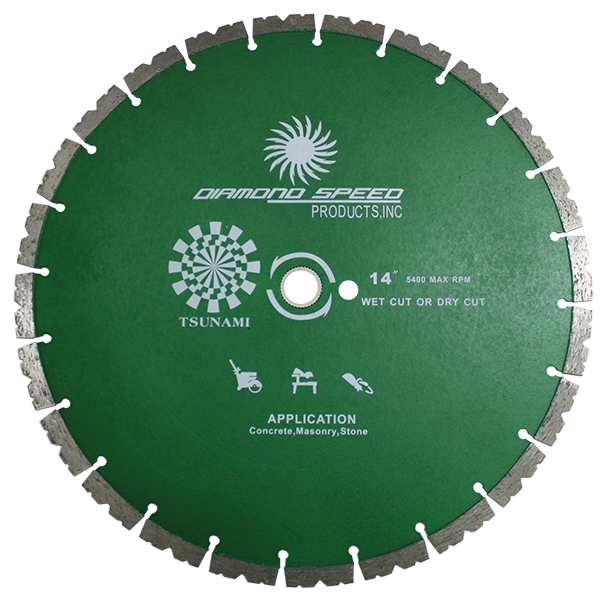 The Tsunami blades cut extra fast because of their special bond and crown segment. 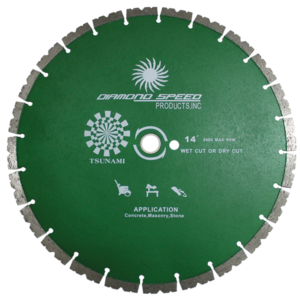 They can be used on walk behind saws, hand held saws, and table saws. You can run them wet or dry.